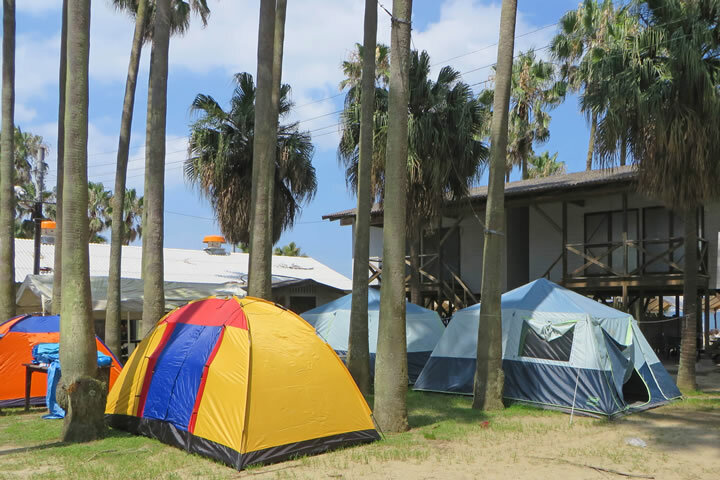 The Nokonoshima Camp Ground is a private beach located on Nokonoshima, a scenic island in Hakata Bay. Guests can kick back and relax in beachfront camping tents and wooden bungalows, soaking in the tropical resort vibe complete with plenty of palm trees. Rooms fill up quickly during peak dates (such as weekends during summer vacation), so we recommend making a reservation as soon as possible. We have large and small tents perfect for accommodating groups of all sizes. When making a reservation, please consult with us to find the optimal number of tents for your party.